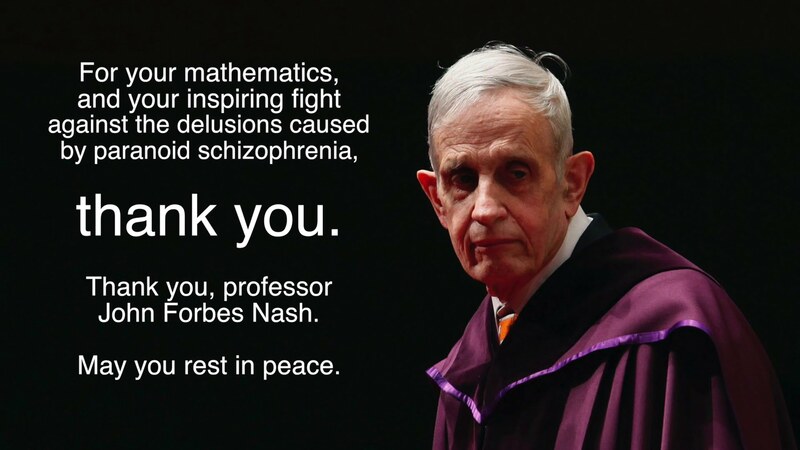 Nobel prize winner John Nash passed away on May 23rd, 2015. He was 86. He had lived an amazing and difficult life. Early on, he was a mathematical prodigy who faced and solved several of the toughest problems of his time. However, at the top of his mathematical genius, he fell into paranoid schizophrenia. After 30 years of struggle with this terrible disease, he miraculously recovered and tamed his demons. Allow me to pay tribute to this beautiful mind.